Wedding brochure design for the Ryder cup golf course. 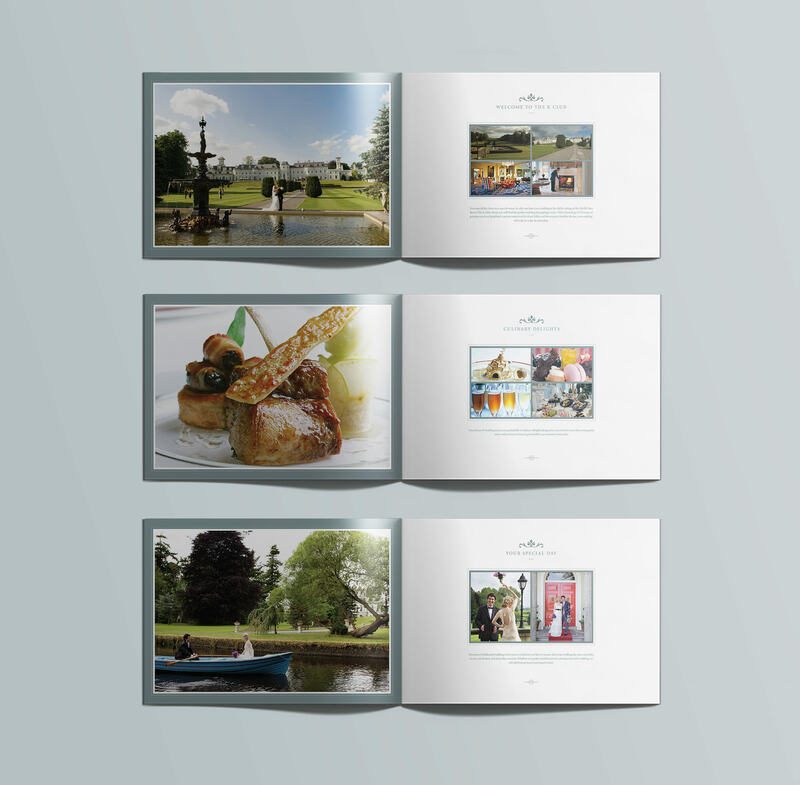 The K Club, Ireland’s First AA 5 Red Star Hotel, is a luxury resort nestled in the beautiful County of Kildare. 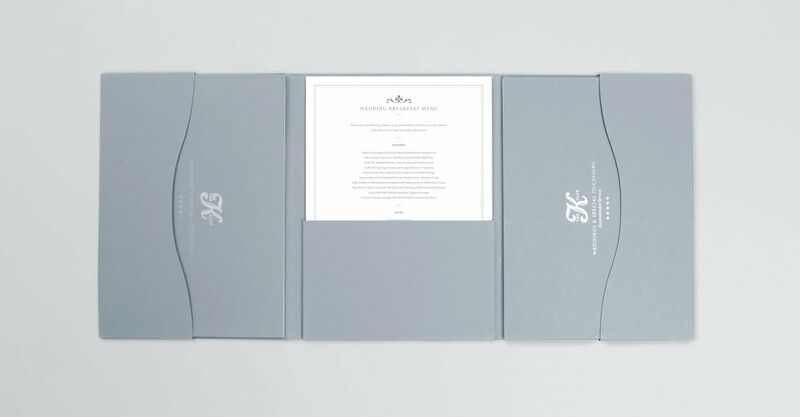 We were invited to design a prestigious wedding pack, which included the hotel wedding brochure design, bespoke presentation folder and menus. The design and high-end print finishing reflects the resorts old world elegance and indulgent luxury.